Montreal is the site of our second set of walks in the Flaneur Walks Pamphlet Series. Known as the most cosmopolitan city in North America as well as "The City of Two Solitudes," it's packed with artists, festivals, amazing food, history, and culture. Plus, it's a great walking and transport city, perfect for the flaneur! With Montreal writers Julie Mannell and Kaie Kellough as your guides, Montreal becomes much more than a destination. In each of their narratives/walks, the city loses its cosmopolitan sheen, quickly becoming the backdrop to stories that resinate on deep levels. Readers/Walkers will be entranced by neighborhoods plotted like pieces of a quilt, bridges that take your breath, bus rides that disorient, and so much more as they follow these writers through Montreal's histories both personal and geographic. Not sure what a Flaneur Walk is? Click here. 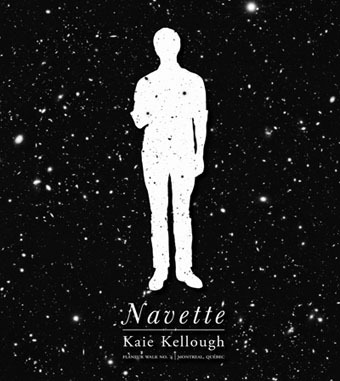 In Navette, by Kaie Kellough, a young man tells the story of growing up in the neighborhoods and streets of Montreal as the son of Haitian immigrants. Pulsing with the desire for movement, he shuttles through time, family, politics, music, and personal mythology to stop where one always stops, somewhere else, in the shadow of what's been left behind. On the way, Kellough directs readers to choose their own paths, literally. Because no real story is ever linear. The result is a fantastic flight that when read straight through draws one deeply to center, and when walked, awakens one's awareness to the connectivity of the universe. Walkers, wear comfortable shoes and bring enough money for metro fare. This walk takes approximately 2 hours. Walkers, wear cofortable shoes and have enough money for several bus and metro fares. This walk lasts approximately 3 to 3.5 hours with pit stops along the way. All buildings are handicap accessible. Screw rose-colored glasses! Try hot pink ones, and maybe wear a bear suit. 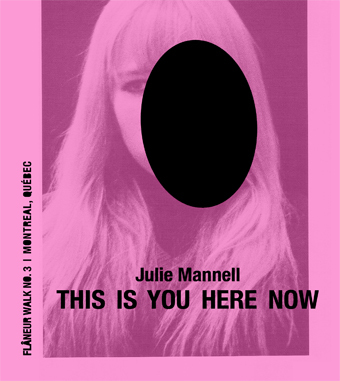 Julie Mannell's This Is You Here Now is beautifully vulnerable, but never shy, and it's these two qualities that guide readers through a Montreal they otherwise may never have known. Traverse posh neighborhoods as a nanny, tiptoe quietly through the cathedral with your junkie lover, drink a peanut butter milkshake, and slump down in the best seats on the bus. No matter where she takes you, Mannell's x-ray vision and poignant insight will make you laugh as your heart shatters. Slightly disorienting, but life can't be one shiny car ride. Like what we're doing? We gratefully accept donations of any denomination. copyright 2010 - don't be a copycat!